Equipment listed below; does not include freight (if needed) to your location. Freight is arranged at our cost and when you provide your zip code for delivery; we will then provide you with your total delivered price. Plenty of local churches, municipalities, contractors, rental companies and facility managers are available to call for a reference check. New 2018 Skyjack electric scissor lifts, 2-year full Skyjack Corporation factory warranty. ULE Sales, LLC business model is designed to get you the very best used and new aerial equipment at the very best delivered cost. Also, please consider filling-out our “Equipment Request Form” on this page as, we can’t list every man lift (scissor and boom) and material lift (telehandler/fork truck) that we currently have available for sale. We will never provide any of your contact information to any other person or company. To help you in determining the size and type of man and material lift(s) you may want to go to our “Used Equipment” drop down menu to see the categories of equipment that we sell. The equipment listed under the Used Equipment Tab is … from our previous sales and now is used as an “Educational Tool” to help in your selection (models and specifications) of man and material lifts. The “Price Range” box is what you can expect to pay for good used; depending on hours, model year and equipment condition. Financing options are available, if desired. 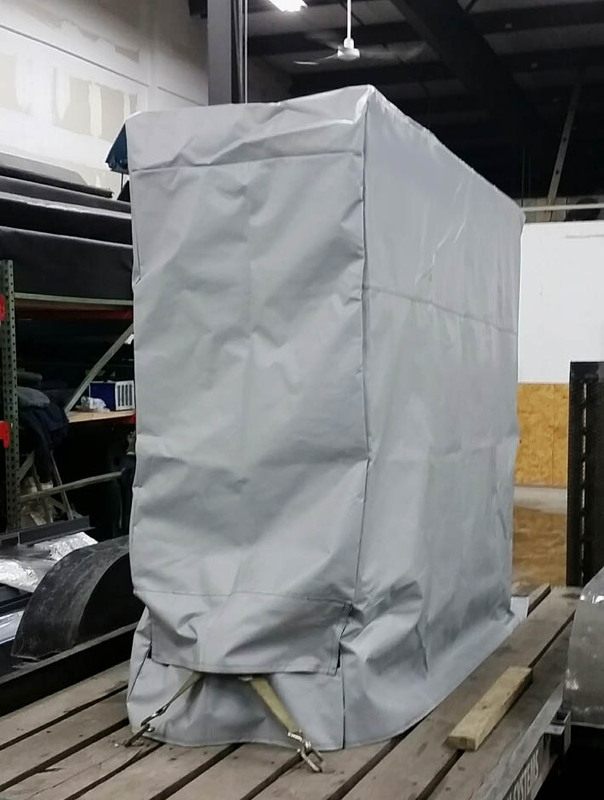 Last item listed below is our scissor lift covers! JLG 3394RT with outriggers, 4x4 scissor lift, GM Vortex 82 hp, duel fuel engine, 30 gallon fuel capacity, 45% gradeability, new ANSI certification March 2019, some new paint and decals in March 2019, foam filled tires, 3496 hours, 2250 lbs. lift capacity, platform size is 86 x 150 inches, overall length 12' 8", overall width 7' 10", overall height 8' 8" with rails up and approx. 6' 5" with railed folded, folded 11,910 lbs. operating weight, 4-foot slide-out extension deck, GFI power on the platform, add freight, Please call 574-340-9258 for your total delivered cost. 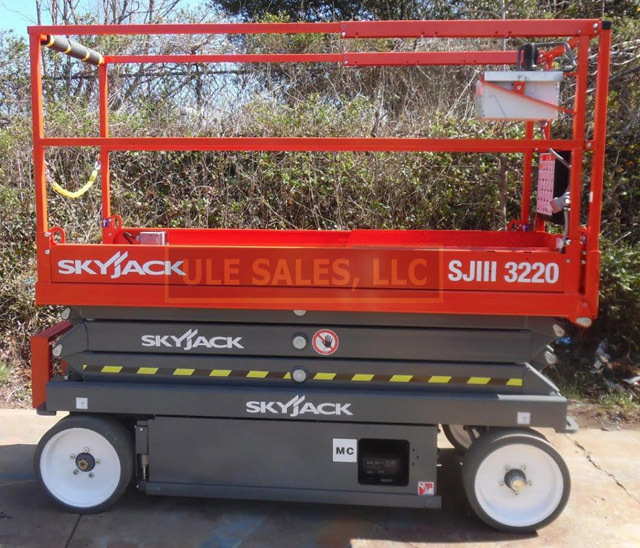 2011 Skyjack SJIII4632, good batteries,, new annual inspection February 2019, 32-foot platform height, 38- foot max. working height, 5075 lbs. operating weight, 700 lbs lift capacity, 46 inches wide, work ready two SJIII4632 scissor lifts available. 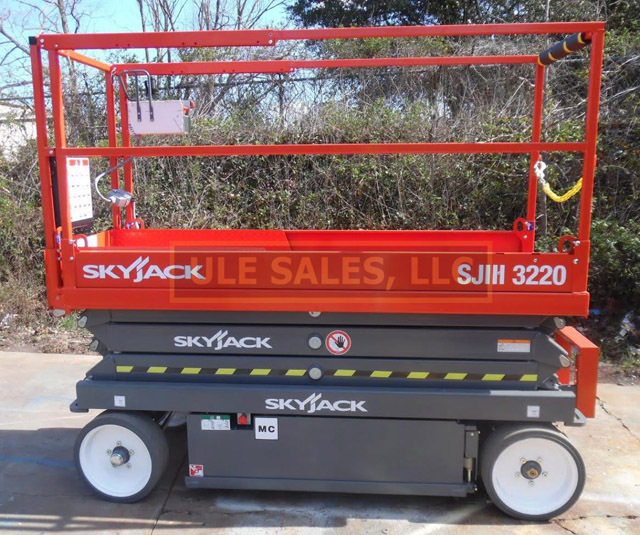 Price for a brand new Skyjack SJIII4632 is $17,695 plus freight to your location. 2011 Skyjack SJIII4626 scissor lift - fresh annual inspection (ANSI) April, 2019, approx. New paint and decals (in shop on 4/8/2019, 208 hours, good batteries (add $400 for new batteries), capacity , 26-ft. platform height, 32-ft. working height, 46" wide, 70.5" high (rails down) 84.5" (rails up), 91" long, 1000 lbs. lift capacity and 4700 lbs. operating weight. Drive-able at full height, 4 ft. slide-out extension deck, on-board battery charger, solid rubber non-marking tires, pothole protection system and 110-volt AC outlet on platform with GFI. Please call 574-340-9258 for your freight quote and your total delivered cost. ADDITIONAL INFO ON THIS UNIT: Hard to find this scissor lifts gives you the 900 lbs lift capacity that many of my customers need! The SJIII3220 will drive thru a standard 36 x 84 inch commercial single door! No rails to drop only 78 inches in height In-stock ready to ship, NON-MARKING TIRES on all new Skyjack scissor lifts 2019 Skyjack SJIII 3220 electric scissor lift, only $11,825 i.e. best price on the internet, Stk #722, brand new, zero hour, The platform length is 21.5 inches longer that the 19 foot Skyjack 3219 (91.5 inches vs 70 inches) for the Skyjack 3219, additionally, the lift capacity is 350 lbs. greater than the 19 foot Skyjack 3219 (900 lbs. versus 550 lbs.). New ANSI certification and Door to Door Delivery, newly designed motor controller for exceptionally smooth operating movement; 2-year full warranty (parts and labor) and 5-year structural warranty, drive-able at full height, variable speed with front two-wheel hydraulic drive, 90 degrees steering (zero inside turning radius), dual holding brakes, low voltage battery protection, solid non-marking tires, 20-foot platform height, 26-foot maximum working height, drive-able at full height, variable speed with front two wheel hydraulic drive, 90 degrees steering (zero inside turning radius), dual holding brakes, low voltage battery protection, solid rubber non-marking tires, pothole protection system, forklift pockets and tie down/lift lugs, 3 ft. roll out extension deck. Please call 800-232-5079 or email us at walt@usedliftequipment.com for additional photos and your total delivered cost. Best warranty of any aerial equipment manufacturer. 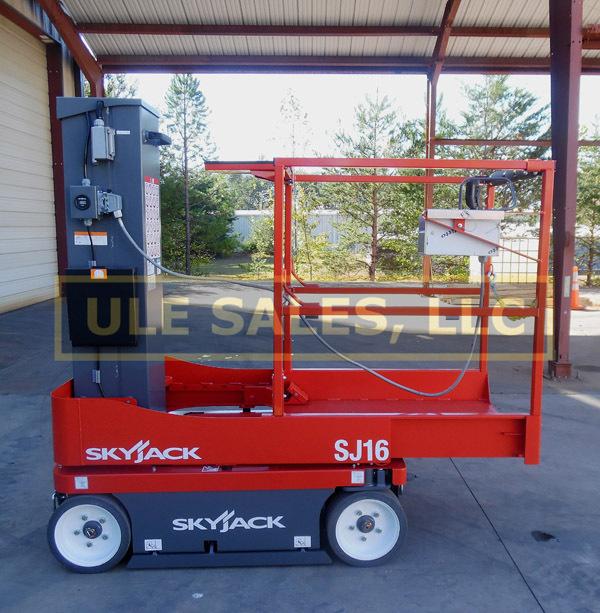 Brand new 2019 Skyjack SJ-16​ ​vertical mast lift for sale - ​Stk #720​, 2-year parts and labor warranty ​and​ a 5-year structural warranty from Skyjack Corporation.​ Only 2,130 lbs. ​operating weight, 0 hours, ​15'7″ raised platform height, 21'7″ working height, lowered platform height is only 18 inches making it easy step-on!!!! and easy step-off!!!! overall width is 30.5 inches, overall length is 54 inches, turning radius inside is zero, outside turning radius is 55 inches​,​ drive speed is 2.5 mph lowered and 0.5 mph when raised, solid rubber non-marking tires, stowed height is 70.3 inches, 30% grade-ability, weight capacity is 500 lbs. 24 volt DC electrical system (four deep cycle 6 Volt batteries), on-board battery charger​. Best warranty of any aerial equipment manufacturer. Please call 800-232-5079 Hurry price increase coming soon.